I made a page for you because you are studying something that I find very interesting, skeletons. Can you see the skull? The ribs? The backbone? I think the most interesting bones are the limbs. The only evidence they have of leg-like limbs is a small bit of pelvic bone that I've circled so that you'll notice. 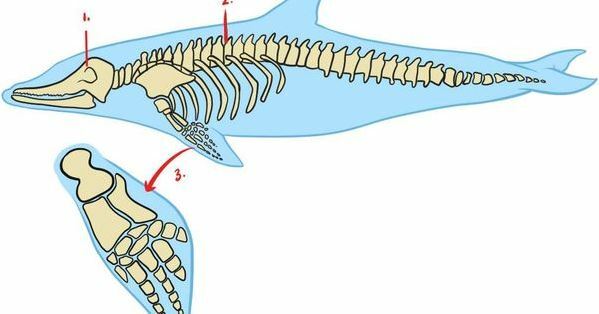 From the pelvic bone to the end of the dolphin is a set of tail bones. 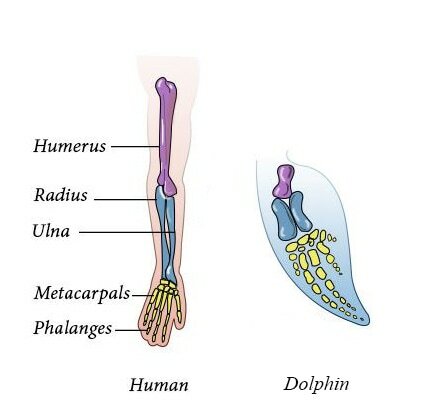 These are connected to powerful muscles that help dolphins swim so gracefully and quickly. 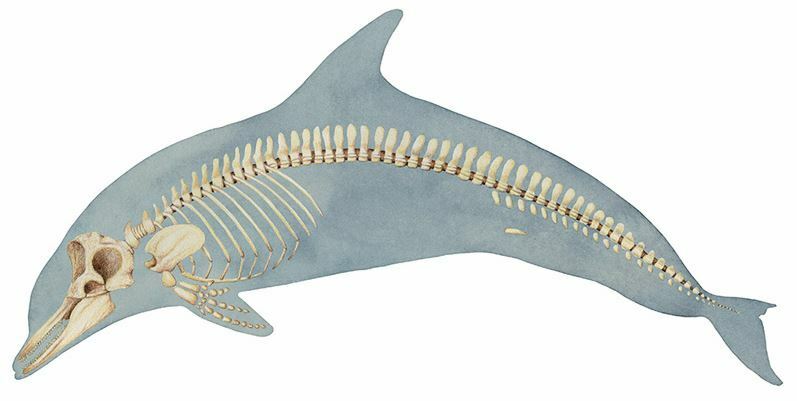 You can visit www.blue-world.org/en/education/play-and-learn/skeleton and build your own dolphin skeleton.